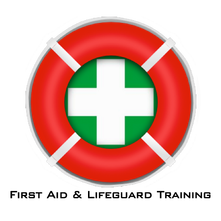 Training provider for all your First Aid, Lifeguard and Fire Safety Training needs in and around Immingham, Grimsby, Cleethorpes, Hull, Louth, Lincoln and nationwide. The Save a Baby’s Life session lasts for approximately 2 hours and teaches adults what to do if a life threatening emergency happens to a baby under the age of 1. Did you know that 80% of UK parents wouldn’t know how to resuscitate their child. The Save an Adults Life session lasts for approximately 2 hours and teaches adults what to do if a life threatening emergency happens such as a cardiac arrest. Did you know that 77% of people in the UK don’t know or are unsure how to perform effective CPR……… is this you? MMB First Training deliver First Aid courses for Families and Kids. These take place at the Beachcomber Cleethorpes. They have become very popular and are held during school holidays and weekends. The Family First Aid course is for up to 5 members at least one being an adult. We deliver this course for those aged 4 plus up to and including Great Grandparents. Children will receive an attendance certificated. The course is intended to help those adults in the family that help out with essential child care and to provide your kids with life saving skills to help family and friends in a medical emergency. The price is £20 per family. All children in your party receive a booklet, face shield and the children can have their club badges signed off. The Kids First Aid sessions are aimed at children aged 7 to 15 year old and is designed to give them the skills to perform basic first aid. CPR, choking, recovery position and how to use a defibrillator. We use manikins and a choking vest to create situations to help them stay calm during training and potentially life threatening situations. The price for this course is £10 per child. They receive a booklet, face shield and certificate of attendance. They can also have their club badges etc signed off.